My Diary: Forest Essentials: Winner or a dud? When you slog at office and return home at 8pm, good skin is the last priority. Yet you crave for that great skin. Playing with the lil one, avoiding Instagram, creating lovely drawings together are my priorities. I try to bond with my sweetheart doll. I am not left with the energy to create those magical potions for my thirsty thirty’s skin. But now that I turned 35, I wanted to bring in some discipline in skin care and so came the idea of totally natural products, for a mile stone birthday. I visited Forest Essentials with a lot of dreams. A delicious smelling premises ushered me in n I was lost in Luxurious Ayurveda, potions, granny’s advises, sages wisdom and awesome aroma and more. Came out with pocket light but heavy on dreams. 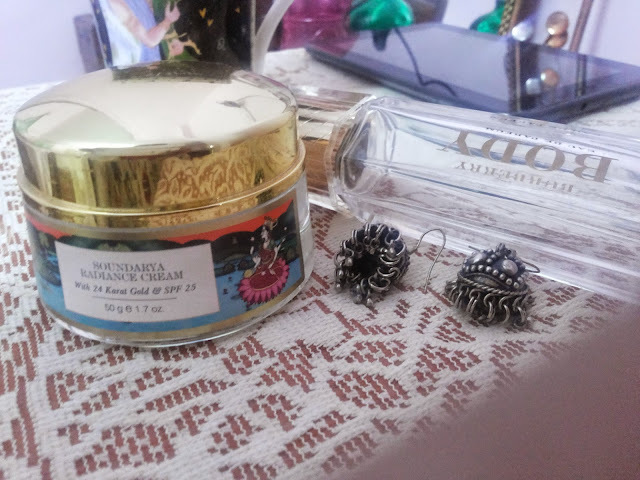 I Got Soundarya Radiance Day Cream with SPF 25 and 'Date and Litchi Eternal Youth Formula' and a Bhringraj Oil. 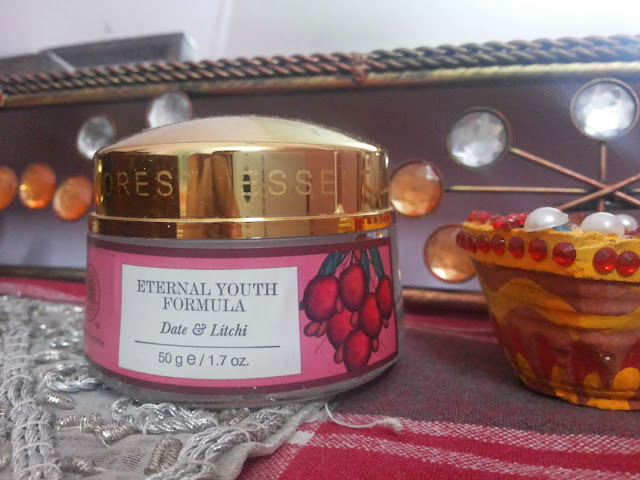 I have used the products for over 3 months now and have a fair deflection towards their age serum of date and litchi. 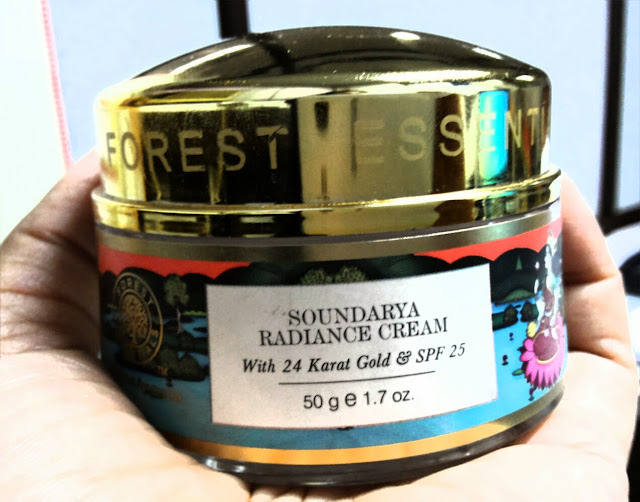 Soundarya radiance cream is a daily face pick me up ONLY, it doesn’t do good to ur skin deep within. It justs boosts my skin confidence a bit, as if I am wearing a light tinted moisturizer, which I hate. Though its nice smelling n all, and has gr8 reviews online but I seriously don't see any great difference it made to my skin. I am loving this totally. 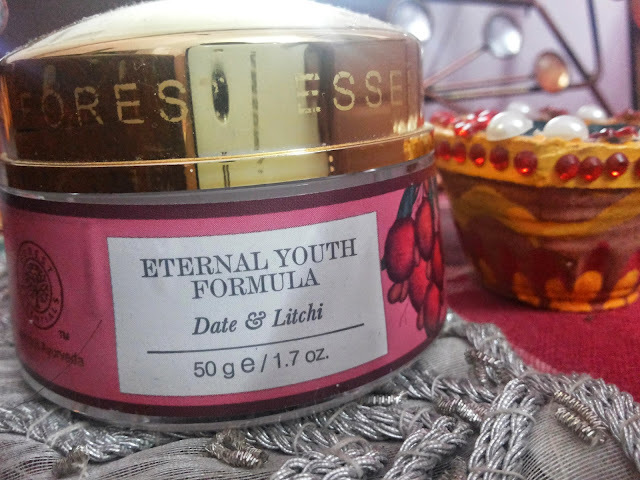 Moisturised youthful skin is a big advantage from this Date n Litchi cream. It’s a sorta skin serum for aged skin. And I reap great benefits. I see my skin tone has changed, my tan has reduced, my skin looks more tight and smooth. Voila! So I thank FE for this marvelous innovation. Bhringaraj I have not been able to use regularly to comment. Ladies once you have wound up the day. Wash your lovely face, pour yourself something soothing to drink and drown yourself in this great cream. Go buy yourselves some dreams n lemme know how good the skin is when you wake up!